For nearly three decades, Marmit Plastics has created and supplied unique and innovative products that benefit businesses, industries, communities, and the environment. This, combined with our outstanding service, has helped us grow into an industry-leading organization with a global reach. 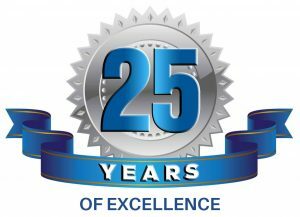 Marmit Plastics has achieved 25 years of excellence in business by offering outstanding service and exceptionally innovative products and solutions. Our team provides creative solutions for our clients’ greatest challenges. We look forward to the next 25 years of helping Alberta’s industries grow and thrive. Marmit Plastics has eco-friendly products for all your containment needs. Our products range from chemical and water tanks to septic and fuel storage. We have a range of sizes and types of containers to choose from. We also specialize in custom design and manufacturing for built-to-fit site solutions. Marmit Plastics creates solutions for a variety of industries. From fuel storage and chemical containment, to on-site service and safety recertification, our plastics experts are always on hand to help.